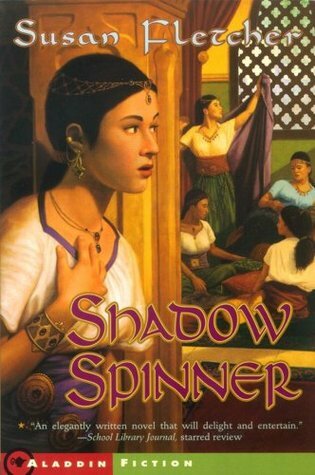 Shadow Spinner, is set in Ancient Persia. Marjan has a crippled foot, so though she is a wonderful storyteller, her future is uncertain due to the stigma attached to her disability. Therefore it is a surprise when she is summoned by the sultan's wife, Shahrazad, to assist her in finding more tales to tell her husband, who keeps her alive only to hear her stories each night. What follows is a heart-pounding adventure where Marjan puts her own safety at risk to help the storyteller she so admires. This book is completely engrossing. I have heard different versions of the story of the 1001 Nights, but this one really sticks with me. Shahrazad is portrayed as a tough, but real person, whose intelligence is both a blessing and a curse in her society. In all the times I've heard about this character, it never occurred to me how nerve-wracking it would be if she suddenly ran out of stories or accidentally repeated one. The thought that she would hire someone to help her never crossed my mind, and I love that the author chooses a girl who would be an unlikely hero, and that Marjan rises so bravely and completely to the challenge. In addition to being a really exciting story, this book also has a gimmick that helps it keep the attention of teen readers. Each chapter opens with a small life lesson from Marjan which foreshadows or summarizes what she will learn in the episode to follow. These little snippets read like contemporary advice columns in magazines, which teens will easily recognize and feel comfortable with. 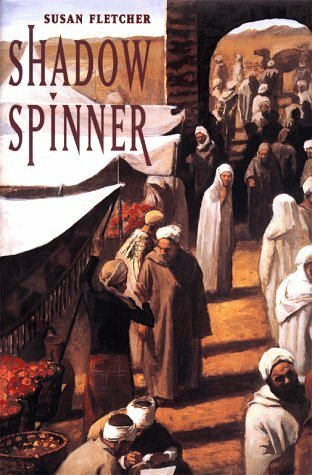 The ancient Persian setting is also really well-described, and because Marjan must sneak in and out of the palace to run her errand for Shahrazad, the reader is given insight into life among royalty and life out in the city, as well as an understanding of the role of storytelling and oral tradition in this society. In a world where we can Google everything we've ever forgotten, the task of memorizing a story to pass it on to someone else sounds completely daunting! This is an excellent book for middle school and high school students, and will perfectly complement any lesson on Persian history or the Arabian Nights. 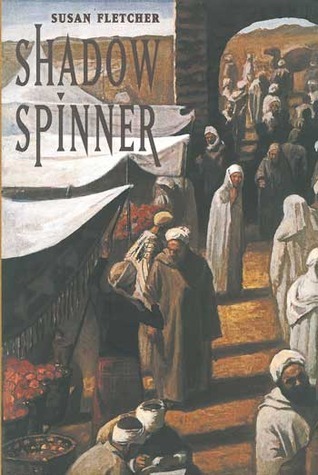 It desperately needs a more engaging cover because the hardcover edition looks like an outdated adult novel, and the paperback is not much better, but readers who look past appearances will find Shadow Spinner to be one of the most exciting historical fiction novels available.